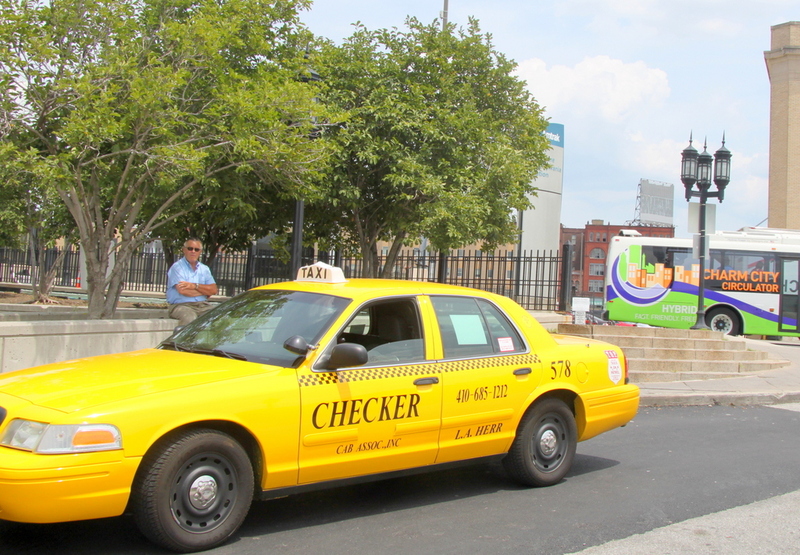 Above: A Checker Yellow cab, one of many used to transport homeless students to city schools. Getting children to school is one of the biggest challenges Baltimore’s public school system faces – and it gets more difficult all the time, according to parents who recently testified about school closures and relocations. The system spent more than $5 million on taxicabs to transport 1,100 students (mostly homeless) in FY 2012-13, while middle and high schoolers regularly commute three or more hours a day on cost-effective (but often unreliable) MTA buses. In hopes that the tech community could help solve the problem, the school system is partnering with Hack Baltimore, which uses open data and other tools to solve community problems. They’re organizing a hack, a collaborative working session, to try and devise ways to reduce costs and inefficiencies and help rethink student transit. “It’s a huge concern of the school system’s” says Sharon Friedman Paley, co-founder of the group. Reducing taxi costs is one goal of the hack, scheduled to kick off this Saturday (January 10) at the Baltimore Design School. Federal law requires schools to transport homeless students to their school of origin no matter where they are residing, even if it’s in nearby counties, says city schools spokeswoman Anne Fullerton. The annual cost? An average of $4,700 per student. One thing that Paley has learned in talking with city schools officials is that student transit problems are individualized and complex – and not only about getting to school quickly and efficiently. Safety is important, too. Even when students have bus passes, if the buses don’t run on time, kids are prone to take matters into their own hands – sometimes in unfortunate ways, such as by cutting class or hitchhiking to get there. The hitchhiking anecdote underscores the students’ desperation and one important fact: The school administration doesn’t track student travel distance or MTA travel time. Paley stresses that the purpose of “Hack Baltimore: Smarter Schools Challenge – Transit” is to get tech-types to roll up their sleeves and pool ideas. At the end of the kickoff, city schools will choose the most promising ideas (high-tech and low-tech) for seed funding. Project teams will then have 60 days to develop their ideas into prototypes (demo day is February 28) and winning projects will be implemented next school year. Paley says the MTA and school officials will be present at the event, but everyone is welcome, from parents and students to coders, logistics experts, activists and entrepreneurs.